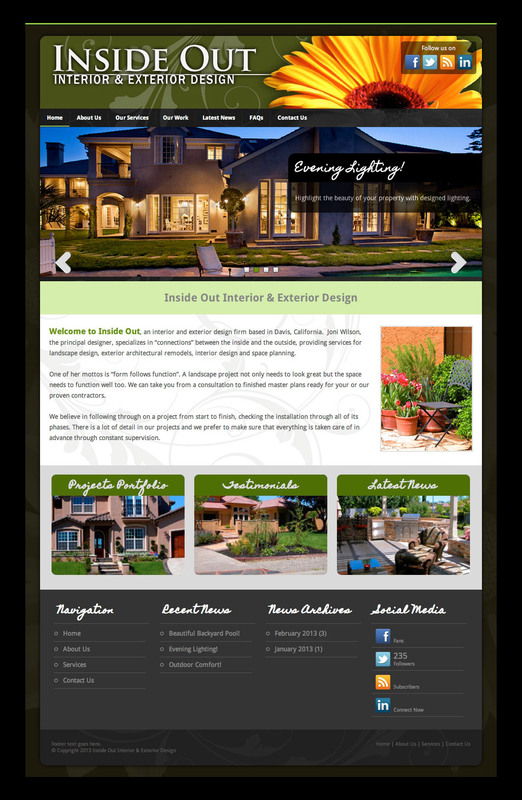 The Inside Out website abundantly utilizes photo imagery to promote the client’s interior and exterior design services. The website features a simple photo gallery, client testimonies, FAQs, and an integrated contact us page with embedded Google map and contact form. This preliminary design is one of three preliminary designs we presented to the Client. Final design is viewable via URL above.